Our actions are working: Kaiser is coming to the table! 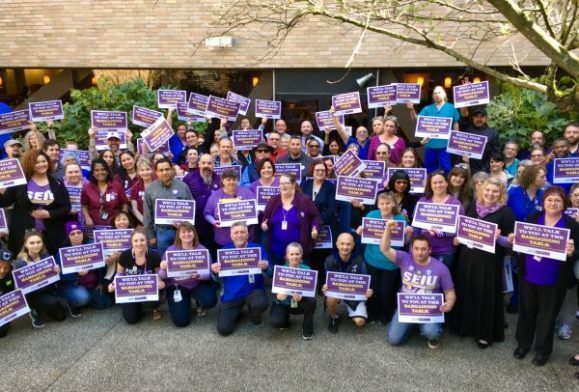 85,000 members of our Coalition of Kaiser Permanente Unions will begin negotiating our National Agreement with Kaiser management this April—without preconditions! What does this mean? It means our actions and our unity are working! Kaiser illegally refused to bargain with our Coalition unless we signed off on a weak new partnership agreement, which would have limited our rights as union members to advocate for our patients and ourselves. 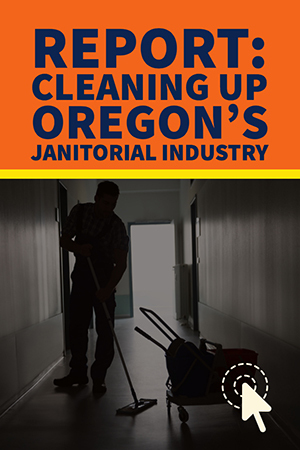 We knew that was wrong and we stood our ground: we stickered up, picketed, and took legal action. Now Kaiser is starting to get the message, and we’re going into bargaining with a strong plan in place to win the contract that we deserve, and to continue to make Kaiser the best place to work and receive care. Getting to the table is an important step; now we must keep up our momentum and stand united to make sure we win good raises, keep our healthcare affordable, maintain our retirement and education benefits, and keep good union jobs in the Kaiser system with no more outsourcing!